This post will be quite lengthy. Boring nih..dunno what to post but feel like wanting to post something here...so, I was thinking, why just don't i post something about my zodiac, libra. The article below is from astrology.com.au. Sila la baca yerr...dah kering idea..hehe..
You’re born under the sign of Libra, which represents the element of air, or the intellect. You’re most definitely a thinker — you like to use your mind to tackle problems. 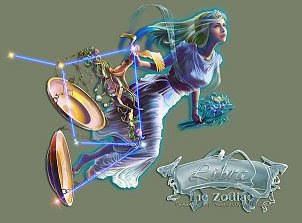 Libra is the seventh sign of the zodiac, which refers to relationships of all sorts and your connection to the world around you.